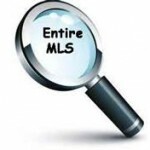 Tucson MLS Active Listings is a list of pre-set Tucson MLS home Searches. Tucson MLS Active Listings provides a alphabetical list of Tucson homes for sale searches. Price ranges are shown for many searches. Canada Hills Estates Homes for Sale in Oro Valley Az. Coyote Ridge Homes for Sale in Oro Valley Az. Tucson MLS Active Listings for home in the Estates At High Mesa. Fairfield At Vistoso Homes for Sale in Gated Community in Oro Valley AZ. Oro Valley Homes for Sale listed this week. Oro Valley Homes for Sale Priced Over $800,000 With Pool. TUCSON NEIGHBORHOODS Northeast – New Listings This Week – Active Listings.